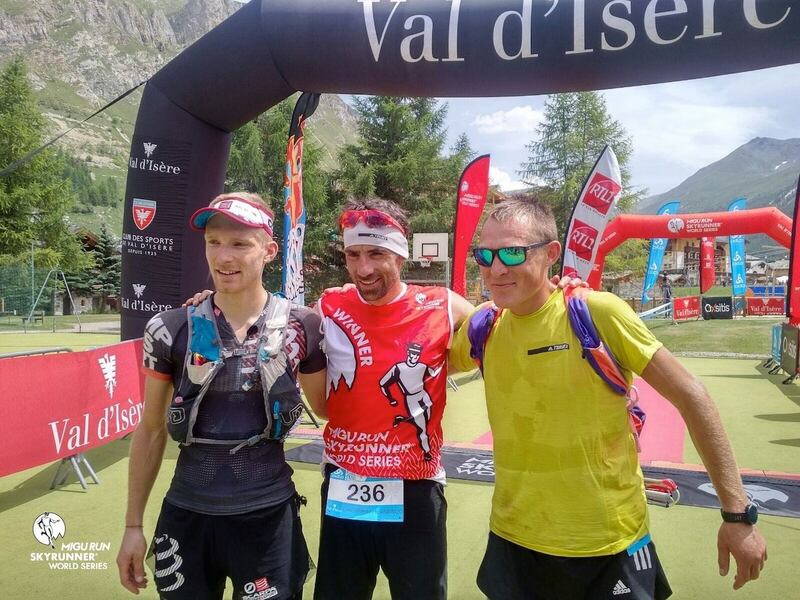 A recap of two Skyrunner World Series races–the High Trail Vanoise in France and the BUFF Epic Trail 42k in Spain—highlights of the popular Mount Marathon race in Alaska, and François D’haene back in action are among the features of this week’s column. Thanks to Ridgeline Dream Trips for supporting TWIR! 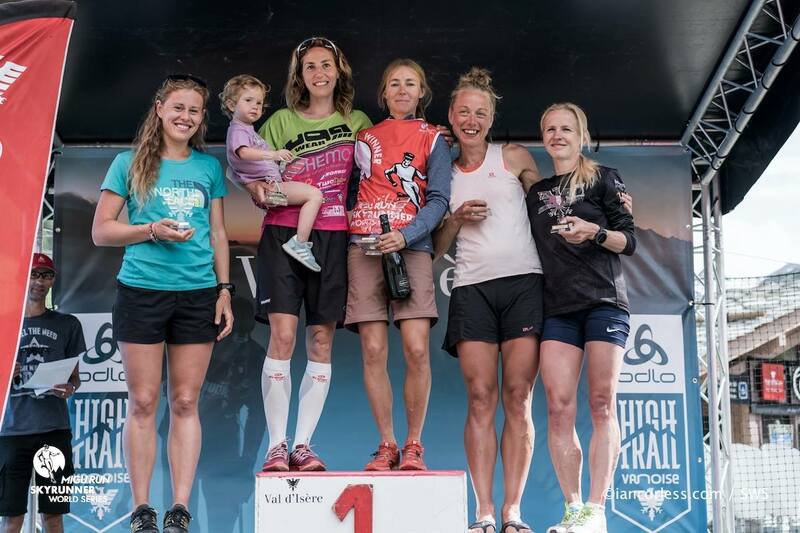 Thought to be Europe’s highest race, the High Trail Vanoise was also the fifth stop of the Skyrunner World Series, and was also the European Skyrunning Championships. The 70k race went up to the summit of 3,653-meter (11,984-foot) Grand Motte, and as evidenced by the finish times, was particularly technical in addition to its 5,200 meters of climb. World’s best Luis Alberto Hernando (Spain) came to run, and delivered another winning performance. His 8:17 finish marked a new course record at the second-year race. Aurélien Dunand-Pallaz (France) was second in 8:31, and Sky Ultra series leader Dmitry Mityaev (Russia) was third in 8:43. Expected to challenge up front, Nico Martin (France) was just sixth in 9:07. Like Hernando, women’s champ Megan Kimmel (USA) also scored a new course record. This one was closer, though, as Kimmel’s 9:46 bettered second-place Ragna Debats (Netherlands) by just six minutes. Mimmi Kotka (Sweden) was third in 10:30. It should be noted that the course was reportedly a little different this year with a bit less climbing due to a short course reroute. Allen continues to lead the Sky Ultra series. Also part of the Skyrunner World Series, the Buff Epic Trail 42k race was part of the Sky Classic division. Upset alert, Sky Classic series leader Aritz Egea (Spain) took a loss to in-country foe Eugeni Gil. The race winner went for 4:08, and Egea, second, was three minutes back. It was only in the last 5k that Gil gained the lead and Egea faltered. Gil, just 22 years old, was fifth at last year’s Matterhorn Ultraks race, and was fourth at this year’s Livigno Skymarathon. Adrien Michaud (Spain) was third in 4:16. Egea remains the Sky Classic series leader. The mostly in-country field was led by Oihana Azkorbebeitia (Spain) in 5:07. She outpaced second-place Celia Chiron by just 26 seconds, all in the last 500 meters. Third-place Laura Sola was also competitive, less than three minutes back at 5:10. Her race came just two weeks after taking second at the Mount Olympus Marathon. Maite Maiora remains the Sky Classic series leader. The next Skyrunner World Series race is the July 16 Ultra SkyMarathon Gran Paradiso in Italy. It will be the first of the year’s Sky Extreme category of events. 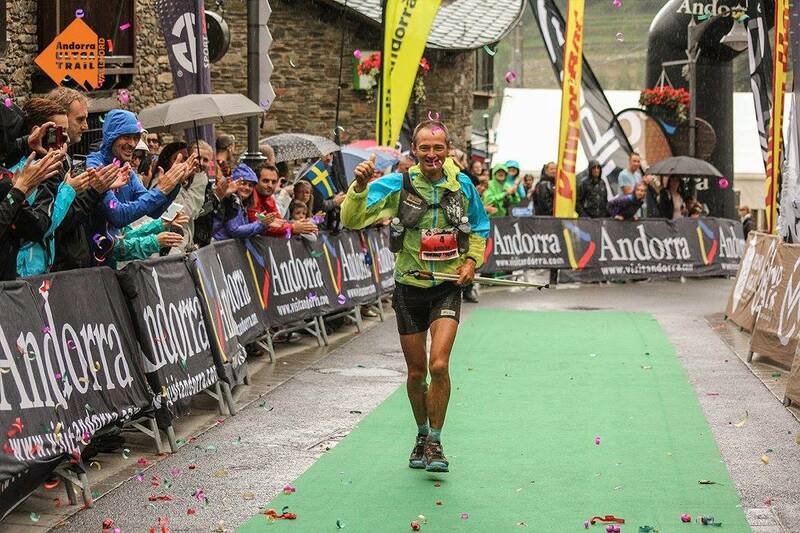 It was the ninth anniversary of the Andorra Ultra Trail Vallnord group of races in the tiny mountain country. The premier event, Ronda del Cims, was 170k (105 miles) in length with an incredible 13,500 meters (44,000 feet) of elevation gain. Antoine Guillon (France) won the men’s race by nearly three hours, and defending champ Lisa Borzani (Italy) similarly took the women’s race by a large margin. The event’s new Eufòria race is an adventure going for 233k (145 miles) over unmarked trails with a teammate. The team of Nahuel Passerat (France) and Julian Morcillo (Spain) won over Pavel Paloncy and Filip Silar (both of the Czech Republic). There’s nothing better than July 4 in Seward, Alaska. The Mount Marathon Race race has captured America and the world’s attention in recent years. 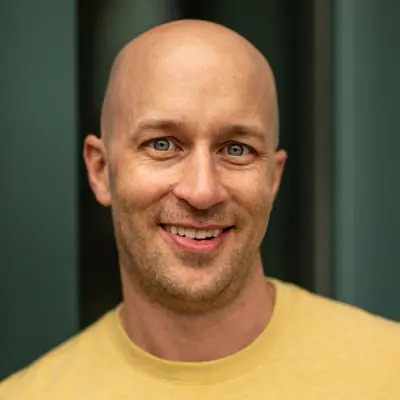 In 2016 Nordic-ski ace Scott Patterson closely followed course-record holder David Norris to the top of the 3,022-foot peak, before running into trouble on the descent and eventually finishing fourth. This year, with Norris and others absent, Patterson was able to comfortably win with a 44:30 finish time. It was 13 seconds better than his mark from a year ago. Erik Johnson was second in 45:22 and Kenneth Brewer was third in 46:53. In 2015, Allie Ostrander won gold at the World Mountain Running Championships Junior Race. That same year, Morgan Arritola was 10th in the senior race, and the US champion. The two headlined the women’s race here, and racing on Ostrander’s home turf, she was able to run away from Arritola. Ostrander’s 49:19 sits almost two minutes back of Emelie Forsberg’s course record, but she was also nearly two minutes ahead of Arritola, officially in at 51:09. Arritola was the lone non-Alaskan runner inside the women’s top 24. Christy Marvin was third in 52:22. Taking the lead 36 miles in, Devon Olson hammered home on the new course and won in 6:53. 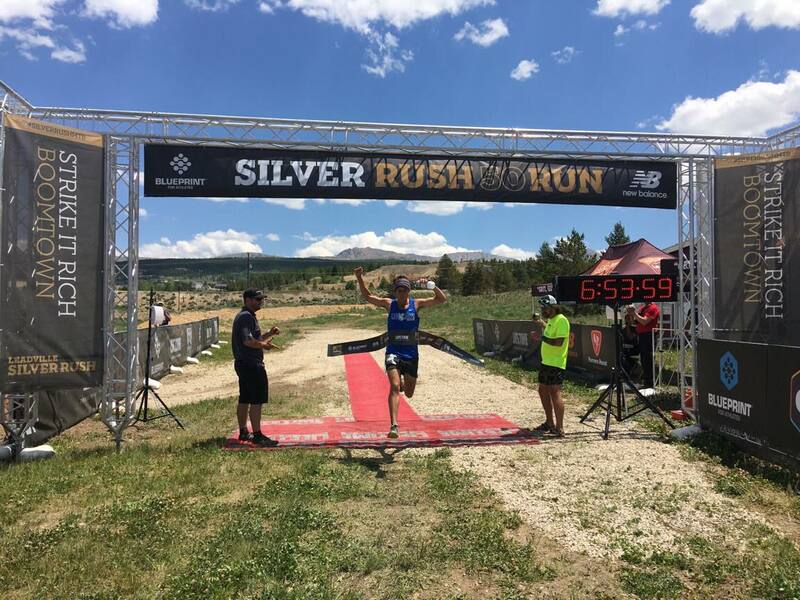 Local standout Timmy Parr was second in 7:13, and former US Mountain Running Team member Josh Eberly was third in 7:29.
iRunFar columnist Gina Lucrezi hightailed the high country ahead of the women’s field, winning in 8:51. Becky Kirschenmann and Sarah Bunting Lamos were second and third in 9:01 and 9:03, respectively. François D’Haene (France) scratched from starting the recent Lavaredo Ultra Trail race with injury, but was again in form here. Racing on the 61k Traversee course, just one of several race distances here, D’haene ran 7:07 for the win. Emily Vaudan (Switzerland) triumphed in the women’s race in 9:22. Full results. The 15.5-mile Whiteface Sky Race in New York was the year’s first US Skyrunner Series Sky Classic division race. Matt Lipsey won in 2:51, finishing a mere three seconds off the course record set at last year’s inaugural race. Women’s winner Caitlin Patterson mastered the burly terrain in 3:18. Patterson, a Nordic skier, earned a spot on the US Mountain Running Team earlier this year. Full results. 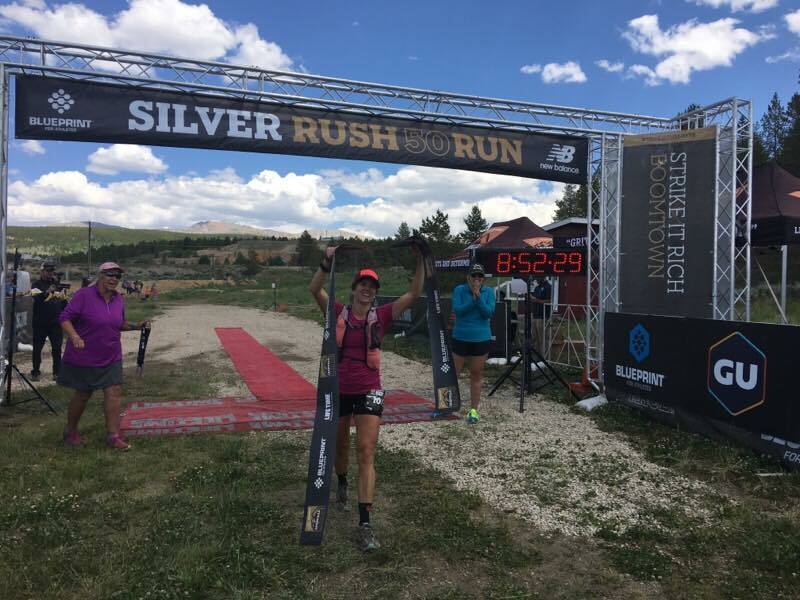 The day-earlier Vertical K was the second of five US Skyrunner Vertical K series events. Race winners were Lee Berube and Kim Nedeau in 36:45 and 43:38. Much like 15.5-mile men’s winner Lipsey, Berube here too was very close to the 2016 course best–a mere second off in this case. Full results. Colorado’s Vail Hill Climb turned 41! Men’s winner Seth Hirsch came from Nebraska, and women’s victor Lesley Paterson was from San Diego, California. The two ran 52:49 and 1:01:55 on the all-uphill course. Full results. Nick Elson was way out front at the Knee Knackering North Shore Trail Run in British Columbia. Elson covered the technical 48k track in 4:32. Women’s best Katie Mills rocked to a 6:06 win. Full results. One-hundred-mile-rookie Zach Merrin reportedly went through 50 miles in 6:20 on his way to finishing Ohio’s first-year Canal Corridor 100 Mile in 15:17. Ultra-vet Connie Gardner won the women’s race in 17:52. Full results. Avery Collins didn’t take long to recover from his recent 100-mile success. Collins won his local Steamboat Springs, Colorado’s Hahn’s Peak Hill Climb, a first-year race, in 58:54. Women’s champ Mariah Weigel won in 1:10:26. Full results. The Buckeye Trail runs the length of Ohio, and the Buckeye Trail 50k takes part on a northeastern section of trail. Race winners David Ryland and Shelby Koebley ran 3:53 and 5:09. Full results. Ailsa MacDonald was the overall winner of Alberta’s Sinister 7 Ultra 100 mile. She covered the backcountry mountain route in 18:54. Alex Petrosky won the men’s race in 20:32. Full results. The Cacapon 12 Hour Challenge was held on a five-mile loop in the race’s namesake state park, and doubled as the Road Runners Club of America West Virginia Ultra State Championship. Meg Landymore was the overall winner with 56.2 miles. The total was a new women’s course record. Joe Cross was the male winner, with 55 miles. Full results. One way from Death Valley to Mount Whitney Portal, California, 95 runners from 19 countries will take part in the Badwater 135 Mile starting July 10. At the top of the list is defending champ and course-record holder. Pete Kostelnick. He bowed out of the recent IAU 24-Hour World Championships early with a stomach problem. That means he’s likely fit and ready to go. Past champ Oswaldo Lopez is also counted on as a title contender. The women’s race is headlined by three-time Spartathlon winner Szilvia Lubics (Hungary). iRunFar’s Hardrock 100 Mile preview is live, and pre-race interviews will roll out throughout the week ahead of Friday’s race. The iRunFar team will again be on site with live coverage of the high-altitude adventure. Look for 2016 co-winners Kilian Jornet (Spain) and Jason Schlarb (USA) again at the front, and possibly Mike Foote (USA) and Iker Karrera (Spain). It’s the women’s race that might be more compelling this year, though. Two-time defending champ Anna Frost (New Zealand) will see an exceptionally strong challenge from Caroline Chaverot (France). Hardrock is wild, but I’d bet on a new course record from Chaverot. Three-time race winner Darcy Piceu (USA) and Nathalie Mauclair (France) are certain to add to the excitement, too. Readers, hit us up! Share other results from around the world in the comments section below. Thank you! Spellcheck- the winner was Ailsa, not Alisa, McDonald. She deserves the respect- overall winner by almost 2 hours, brutal heat, tough course redesign. 18% finish rate this year. Spellcheck- the winner was Ailsa, not Alisa, MacDonald. She deserves the respect- overall winner by almost 2 hours, brutal heat, tough course redesign. 18% finish rate this year. Scott and Caitlin Patterson are siblings! Fast family running mountains and skiing. Nordies rule! Ha! That’s great to know! Thanks. Thanks for the corrections, and we’ve updated the article. Please know that no disrespect is meant in any typo you might find in this column. Writer Justin and I as editor spend a lot of time on Saturdays and Sundays putting this article together every single week, trying to tease out race results when they aren’t always yet online. It’s more collective hours of work than you might imagine. We occasionally make mistakes and typos, and we really appreciate our readers’ tight eyes to the details. We also love the fact that comments readers make to this weekly article add background/on-the-ground information behind the results themselves. No worries with the typos. I appreciate iRF featuring our local hundo. I noticed Ailsa just missed out on a golden ticket at Black Canyon, and looks like she is already registered for Black Canyon 2018. It will be exciting to see her race on the big stage at Western States one day. She has some fast road marathon times. Nick Elson also set a new course record at the Knee Knacker. He took 7 minutes off the previous record which stood for 8 years and been tested by likes of Adam Campbell, Gary Robbins and many others over the 29 year history of the race. A very impressive run! Hmm, if you Google “Mount Marathon Elevation,” it reads 4,124 feet. Going to edit that one. There’s a good bit of mountain behind the race summit, but I’m not familiar enough with local naming to know if that additional height is part of Mount Marathon or not. The turnaround is not on the actual summit of Mount Marathon, I had to learn that too. Hmm, as an outside fan of that race, that is kind of disappointing. I believe the Eiger Ultra Trail is also on this coming weekend July 15-16 and has attracted a fairly deep field of international runners. You are correct! Looking forward to the loop around Eiger, and hope to see Timmy Olsen out there!